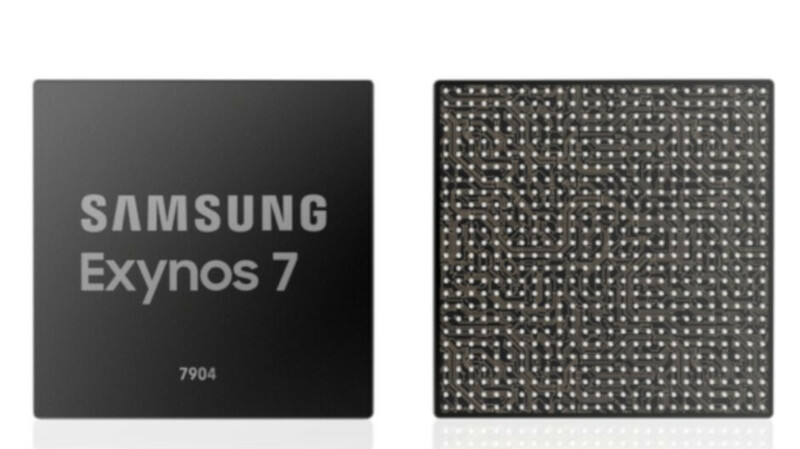 Samsung has just announced it's new Exynos 7 Series processor, specially designed to bring high-end features to mid-range smartphones. The new mobile processor will reduce the cost of the mid-range phones without compromising performance. Thanks to its eight cores, the Exynos 7 Series 7904 is capable of delivering enhanced multimedia support allowing high-end features to be embedded in mid-range smartphones. Samsung expects the new processor to be able to offer fast web browsing and app launching, as well as enhanced user experience via high network speed and smooth multitasking. As far as capabilities go, the Exynos 7 Series supports single-camera resolution of up to 32-megapixels, but also an advanced triple-camera setup for better imaging and complex features. The chipset allows smartphones with a third camera to take panoramic pictures with wide angles or bokeh effect. According to Samsung, Exynos 7 Series 7904 has been built for India, a price sensitive market that needs cheap devices with high-end features. The Exynos 7 Series 7904 chipset is already in mass production, so the first smartphones are expected to arrive by the end of the year. They should focus on giving better gpu and all the sensors that they drop. I honestly wish that they could come out with a midrange phone with an amazing camera. For 95% of people a midrange professor is more than adequate, but they also pair them with these horrible cameras. Give me a midrange phone with a high end camera for $500 and I’ll buy. Ya better GPUs and good sensor instead triple or quad camera. Everyone need a cheap phone with high-end features, not only India. Do you? Yes, we just love being bilked $1000 or more for a high end phone. I have yet to see anything that a phone from 3-4 years ago can't handle, and certainly any current midrange phone can handle that stuff now too. I'm done paying more for a phone than a decent laptop. Midrange or cheaper high ends for me, like the OnePlus line, going forward. Give me a killer app that requires a high end phone and I'll revisit that. "The Exynos 7 Series 7904 chipset is already in mass production, so the first smartphones are expected to arrive by the end of the year" It's "by the end of the "Month", not year" Proof read your articles once a while at least.